The professional team look forward to providing both members and their guests the highest quality of service. 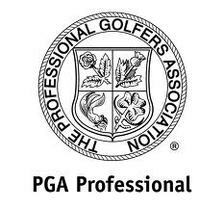 PGA Head Professional Rob Humphrey and his team are based in The Professional Shop full-time to provide an extensive range of professional golf services and to ensure the smooth running of all golf operations. The Professional Shop is open from 8am seven days a week and regardless of your golfing requirements the team here at Tyrrells Wood are committed to enhancing your golfing experience. Please click HERE to view Rob's website. Using our state of the art Swing Studio we are able to offer friendly, honest impartial advice on all golf equipment from putters to the latest drivers. Getting your latest addition to your set custom fitted could make all the difference. The GC2 Smart Camera System - more than a launch monitor, more than a simulator - It’s a Game Changer. Whether you are a complete novice or an advanced player, we aim to tailor our instruction to meet your needs, make it informative and most importantly, enjoyable . Our instruction is truly personalised. The coaching facilities at Tyrrells Wood are second to none - we have an indoor Swing Studio using the very latest technology and a beautifully manicured outdoor grass practice range.